Produktinformationen "Embedded Bowden Couplings - For Metal (1.75mm Filament)"
These pneumatic fittings have a brass metal body which is designed to provide a simple and cost effective way of inserting bowden tubing directly into your aluminium components. The couplings are designed to take 4mm OD tubing and the brass inserts push into an 8mm hole 6mm deep. 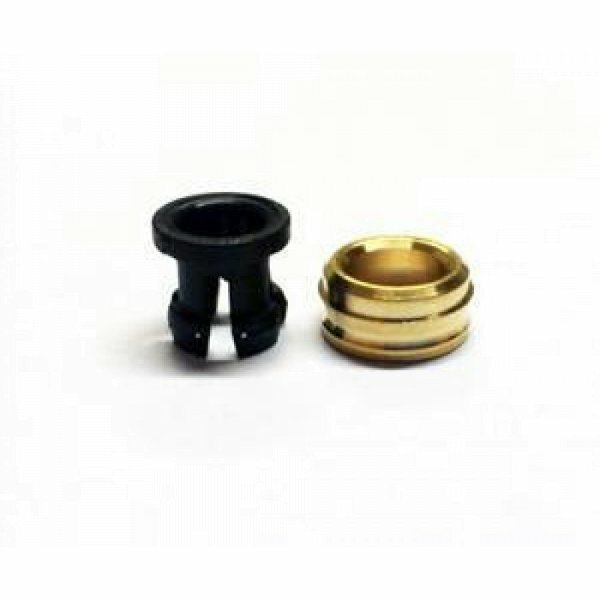 These fittings are aimed at use within the Kraken, and are used in the v6 1.75mm hotends. However there are plenty of other applications ready to be discovered. Weiterführende Links zu "Embedded Bowden Couplings - For Metal (1.75mm Filament)"
Kundenbewertungen für "Embedded Bowden Couplings - For Metal (1.75mm Filament)"